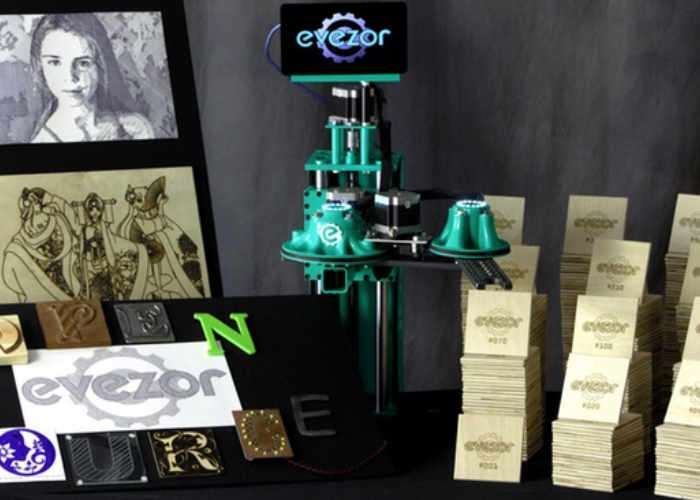 A developer based in Chicago has created a new open source robotic arm and manufacturing platform called Evezor which is capable of taking you from prototype into production and offers a variety of different skills. Including 3D Print, Weld, Cut, Assemble, Pour, Carve, Mill, Draw, Pick, Place, Engrave and more. watch the demonstration video below to learn more about this extremely versatile open source robot arm. Evezor takes you from prototype to production. 3D Print, Weld, Cut, Assemble, Pour, Carve, Mill, Draw, Pick, Place, Engrave and More! Evezor (ee•vez•or) is a tool for dreamers and creators to build, make, invent, and do things they’ve always been told wasn’t possible. It’s for people who know they have a great idea and wish to share it with the world. It’s for people already in industry finding themselves unable to compete in our newly globalized world. It’s for our belief in the return of the artisan and the production of labor intensive goods can become local again. For more information on the new Evezor open source robotic arm jump over to the Kickstarter website for details by following the link below.